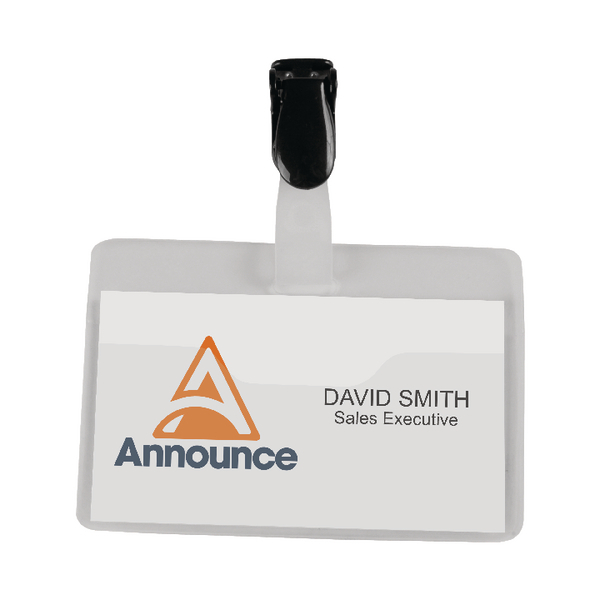 Announce Security Name Badge 60x90mm (Pack of 25) PV00922 – PV00922 – OfficeYoo! These Announce Security Name Badges are tough, durable, and transparent. Supplied with straps, clips, and insert cards, these landscape badges are top loading with a closing clip that ensures the inserts are held securely. Easily attachable to clothing, these badges measure 60x90mm and are supplied in a pack of 25.